Here side panel style was declared with absolute position, width 250px and given transition style also. Magin-left -250px will make the side panel invisible. 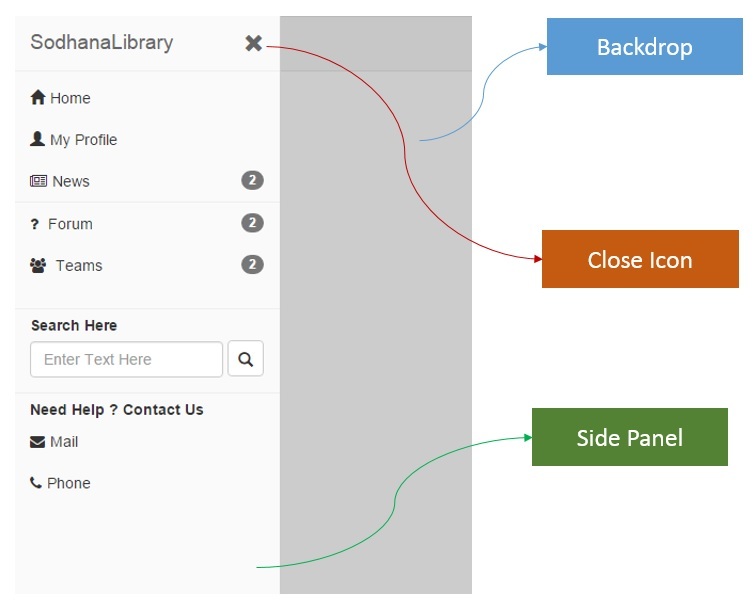 Whenever .sidebar-nav-togled added to side panel div, the side panell will appear with animation from left side. Whenever user clicks on hamburger menu or close icon on the side panel or backdrop, .sidebar-nav-togled class has to be toggled. If user clicks on list item, it will be active and remaining all will be normal. Find below jQuery code.